Stepping Stone Kids Craft - Summer Activity - It's Gravy, Baby! The folks at Jo-Ann recently sent us a gift card to craft with this summer as part of their #SummerOfJoAnn campaign. For the project, we chose a craft from the Cape Discovery spring craft catalog. Because I love making memories with Bryson and Bella, I chose the Stepping Stone kids craft kit. Last summer, we poured a concrete patio and stamped their handprints into it. I love the idea of having their handprints from each summer to look back on and compare to when they are older. The stepping stone kids craft kit comes with everything you need to make one 8″ square stone. All you have to do is add water to the mix. 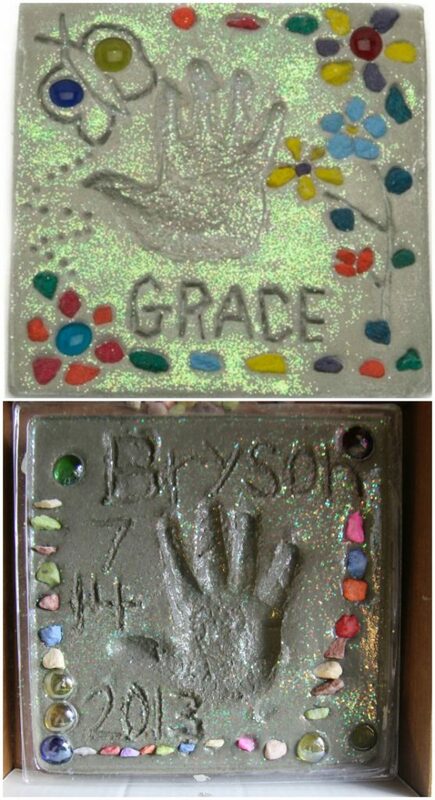 At 4.5 years old, Bryson helped mix the StoneCraft in a bucket, stamped his handprint, sprinkled the glitter, and added his decorations by pressing them into the stone. He was able to complete most of the craft entirely on his own. We did help him pour the mix into the mold and I wrote his name & date on the stone for him. He was so focused on decorating the stone and he worked with determination. I loved watching him. Bella (2.5 years old) needed more help, but we still gave her full control over the decorations. 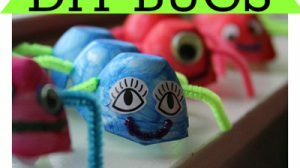 They both enjoyed creating with the stepping stone kids craft kit and I was happy with how easy the entire process was from start to finish. Check out the Discovery Cape craft catalog for more crafting ideas and kits to make summer memories. You can also sign up to be a Jo-Ann Preferred Customer. As a preferred customer, you’ll received notice of great sales, money saving coupons, and ideas to spark your creativity! Find several coupons to save in stores and online here: www.joann.com/discover-­?connect. I LOVE this! It’s so stinking cute! I repinned it and am going to give it a shot with my girls too! Thank you, Lindsay! All the grandparents have asked for one now, so I’m glad it came with a reusable mold. We used glitter on ours, but it didn’t stay very well. I guess I should have pushed it in? Did you add the glitter as soon as your poured it into the mold? That is the key. It has to be super wet. My husband thought it would work better if he waited, so he tried it the other way and it didn’t stick as well. On Bryson’s, I added it as soon as I poured the mix into the mold and it is sealed into the stone well. I did – but I don’t think our mix was as wet as it should have been. I liked your post for kid’s fun activity. Really cute. 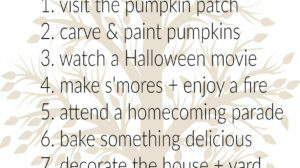 These fun activities are sure to please your little ones. It is indeed a great idea. 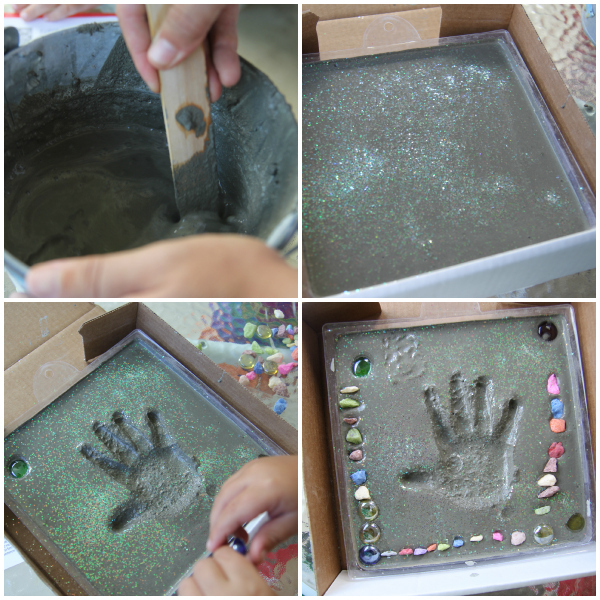 Let your kids personalize the surface of their stone with handprints, their names or various other embellishments. Kids 4 years old and up should be able to handle this step of the project without too much assistance from you. Child to Cherish has a variety of fun activities for kids. 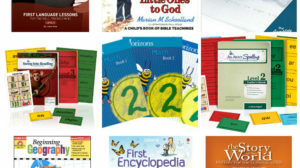 Engage the young ones with these activities and make learning fun!